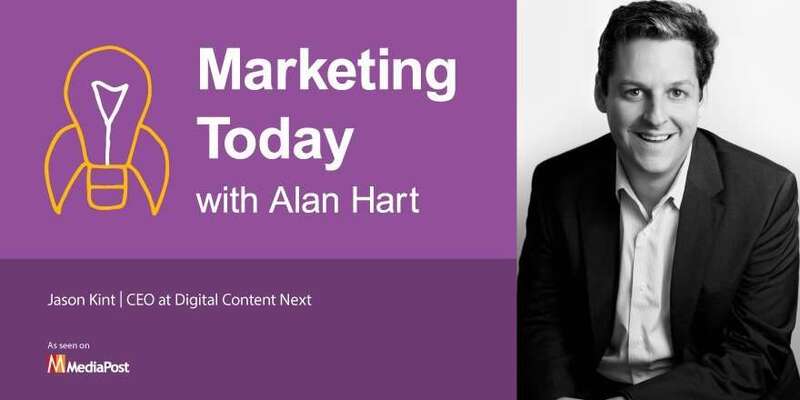 This week on “Marketing Today,” Alan’s guest is Jason Kint, CEO of Digital Content Next, a nonprofit trade organization that plays a strategic role working on behalf of digital content companies in managing direct relationships between consumers and marketers. In doing so, DCN provides research and advocacy in guiding established media companies, including The New York Times, NBC, Condé Nast, and ESPN, as well as digitally native organizations like Slate, Vox, and Business Insider. During the course of his discussion with Alan, Kint outlines DCN’s premium digital advertising marketplace, TrustX, and he discusses the duopoly of Facebook and Google as well as the issue of trust — or lack thereof — when it comes to those two platforms.